You never have enough closet space. So don't overlook your closets or areas of your home that have storage potential when thinking about home renovations. Erix Home Improvement LLC's intelligent storage solutions can transform underutilized areas of your home into fully functional spaces. A more organized home creates the illusion of more living space and eliminates the stress of not being able to find things. Erix Home Improvement LLC offers a wide range of custom storage solutions that can help you conquer clutter. 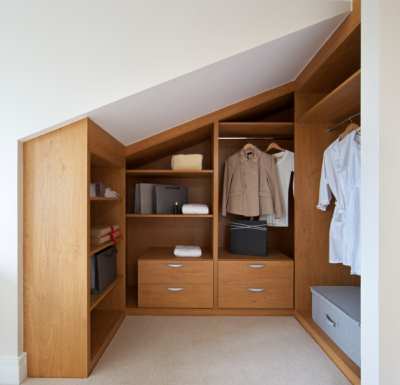 Transform your attic into a play room or craft and hobby area. Turn your crawl space into a storage area for seasonal decorations and sporting gear. Create a built-in storage area beneath the stairs for shoes, jackets, or linens. Erix Home Improvement LLC has been designing custom storage solutions for 7 years. Whether you're coming or going, let Erix Home Improvement LLC make your transition from inside to outside stress free. Our efficient entryway storage solutions are designed to provide a perfect place for everything, including your car keys. Erix Home Improvement LLC can install multiple rods in your coat closet to organize outerwear by season, create a spot for winter boots, and even find the perfect spot for umbrellas and pocketbooks. From seasonal items to recreational items, Erix Home Improvement LLC can build a storage solution to meet your needs. Bring purpose to every space. Call (240) 207-1192 to speak with one of our knowledgeable designers. We've been in business since 2012. We will evaluate your storage needs and come up with a solution that fits your lifestyle and your budget. Create more living space for your family by making your closet space work harder for you. Your investment will pay off by creating a more spacious feel to your home and by creating a more relaxed, clutter-free environment. Erix Home Improvement LLC has been building custom storage solutions for 7 years.